ANTARIS small windturbines and the smart!wind converters build a perfect symbiosis. 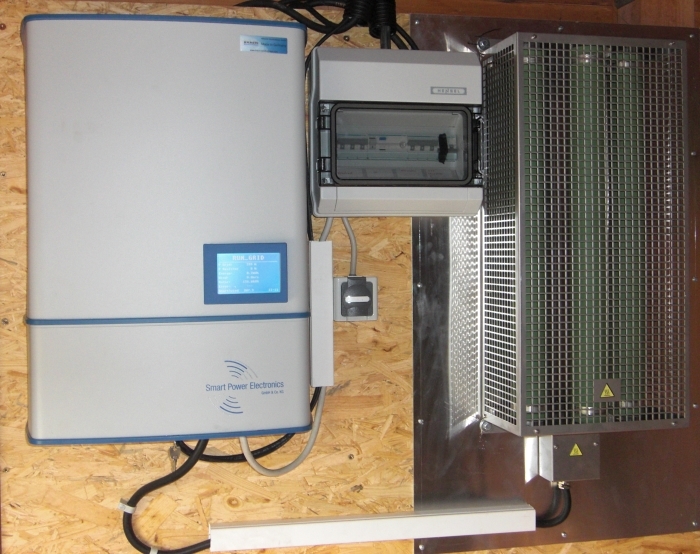 The feed-in converter smart!wind was designed by SPE especially for small wind turbines (SWT) with a power range from 5.5 to 20 kW. Besides the control functions for a SWT the smart!wind provides several protective functions supporting a safe operation of your SWT. Small hydro plants as well as CHP’s offer additional possible applications. Our feed-in converter is available in the following power classes: SW-5.5 (new), SW-7.5 and SW-10. The smart!wind has several energy outlets. Besides the feed-in to the mains there are to mention especially the heating and the battery charge. 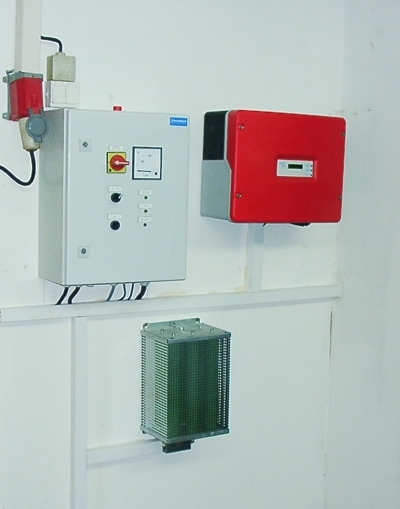 For safety reasons an energy outlet for the braking resistor is always provided as standard. The integrated energy management system distributes the energy among the outlets in such a way that the customer will benefit the most. 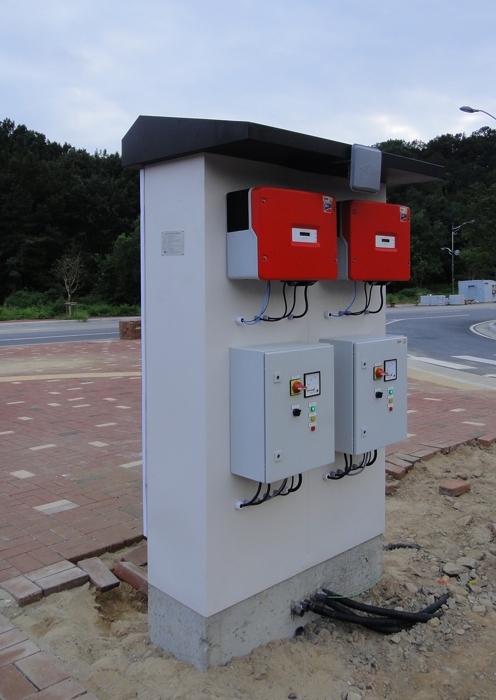 The power unit is designed such that it is able to cope with produced energy up to 20 kW over a long period. 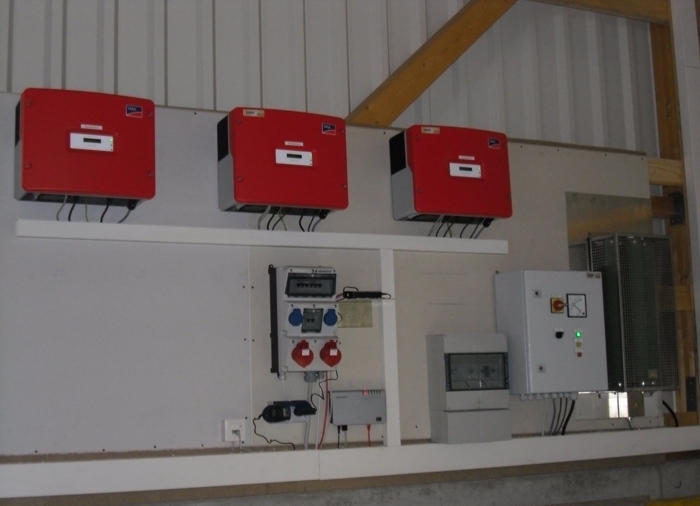 In this case for example 10 kW are fed into the mains and the remaining 10 kW are used to heat hot water.